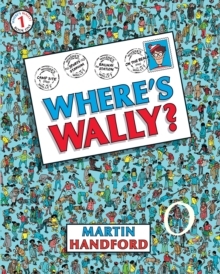 Start the search for Wally in the original eye-boggling classic activity book! The original book which kick-started the worldwide Wally phenomenon! Search for Wally and his friends as they hike round the world – on the beach, at the train station, at sea …They’re fiendishly hidden in every intricately-detailed scene – and there are lots of other things to look for too. Hours of fun and games await.